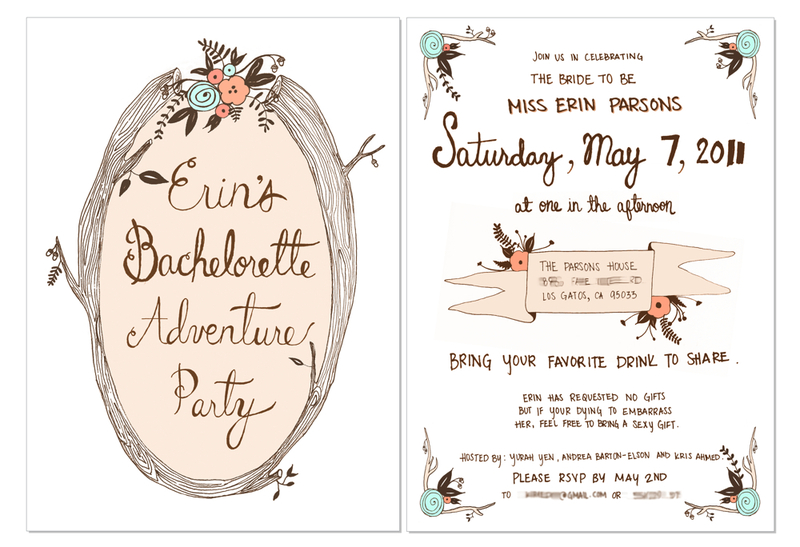 A few months ago, I had the honor of designing my sister-in-law’s bachelorette party invitations and I just happen to run across them in some of my files yesterday so I thought I’d share. This was, by far, one of my favorite invitation designs to date. I was given the freedom to create anything in the theme of woodsy bachelorette party and I love the way they turned out. What do you think? Not bad, eh? xoxo! They were and are fabulous, just like talented little you! These are SO pretty and so unique! What an awesome idea! I love this! I would love to do something like this for my daughter’s first birthday. We are doing a woodland, enchanted party. Do you design custom orders? We wrote up a (very) small short story that invites the guest, it is so cute and would be perfect on your invitation. Hi Mary, I’m so glad you like this design. Unfortunately, I don’t take orders, I just did this for fun. An enchanted woodland party sounds lovely!